CSS Corp Company Career Jobs Opening 2018-2019 Various Associate/Senior Associate Job Posts Download Application at www.csscorp.com CSS Corp Career Job has Recently Announced 2018 regarding Associate/Senior Associate & Various Job Openings Interested and Eligible Candidates can Download Application Through Official website. 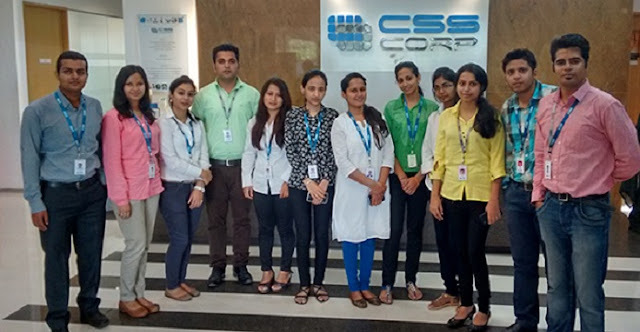 CSS Corp Walk-in Drive Associate/Senior Associate @ Chennai. College Degree Mandatory NO arrears. Minimum 2 years of experience providing direct support to external customers by phone, electronically. Exceptional problem-solving skills and ability to navigate challenging situations in a professional manner. Excellent organizational skills ability to prioritize, manage, multi-task, and execute projects cross-functionally. Able to apply non-linear thinking to problem-solving. Certifications in Marketing and Automation platforms preferred. Should be able to work in Rotational shifts. Understand and become conversant in a relatively large software application. Understand, interpret, reproduce, and diagnose customer problems. Perform Root cause Analysis. Communicate clearly and precisely with customers in written and verbal form, and maintain accurate and timely records in case tracking system. Work with members of the team and other departments/teams to resolve product issues. Meet individual case management, and contractual metrics. Should have good Typing Skills- above 45wpm.